A brand new line of Flashpoint LED lights designed for both camera and stand-mounted use. New photography and videography lights from Flashpoint include the SpeedLight Partner and the VariAngle light, as well as a collection of LED lights in both standard and bi-color options. New stand-mounted lights include various models of circular and panel lights. Streamy Awards are coming! Sign Up Now. Bigger and better. More categories. The Streamy Awards honor the best in online video and the creators behind it. The annual event brings together the biggest names in YouTube and online video for a night of celebration, discovery, and meaningful recognition. "Movie-Making in One Hour: Tips for Trouble-Free Video Shooting and Editing", is a PDF-format book covering both the theory and practice of basic video capture and editing, as well as the process of creating homemade movies with the help of Movavi Video Suite software. 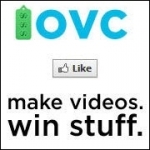 Online video platform market to grow as companies invest in marketing through video content. The online video platform market has been dominated by massive growth fueled by the stupendous growth of the online video audiences, increased use of social campaigns within corporate communications and rapid adoption of the platform as an embedded player for organizations that want to upload and distribute their own content. 85% use video as a critical business tool. 80+ % of respondents stated that live video is more engaging than on-demand options. While almost half of those surveyed (41%) prefer to watch video on their TV, more than 75% consume video on other devices, including smartphones, tablets and laptops, everyday. 45% of respondents use 4-6 devices on a daily basis. Almost 90% of respondents expect access to video on all of their devices, but access isn’t their only expectation. 70+% demand video quality to be consistent across every device, every time. Are you ready for the TV of Tomorrow? This is pretty cool. 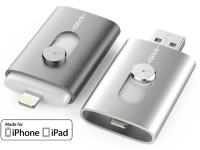 iStick is a USB flash drive with both a USB connector as well as an Apple MFi Certified Lightning Connector that connects directly to recent iPhone, iPad and iPod touch models. New Sony Electronics’ new α77 II camera delivers an impressive combination of speed, versatility and efficiency in a tough, weather-resistant design, making it a perfect choice for fast-action photography and videography. 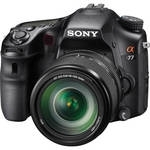 Building on the heritage of Sony’s much-loved original α77 and α700 cameras, the α77 II gives advanced amateurs a string of exciting enhancements including the world’s highest number of AF points in a new phase detect autofocus system1 with 79 focal points and 15 cross points. Utilizing Sony’s unique Translucent Mirror Technology, the α77 II also has the ability to shoot at up to 12 fps for 60 total frames with continuous AF. 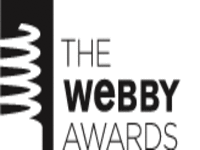 Here are the winners of this years Webby Awards - Hailed as the "Internet's highest honor" by The New York Times, The Webby Awards is the leading international award honoring excellence on the Internet, including Websites, Interactive Advertising & Media, Online Film & Video, Mobile & Apps, and Social. 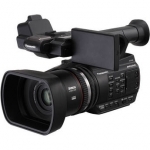 AJA Video Systems announces CION, an entirely new professional camera. CION features an ergonomic design and is capable of shooting at 4K/UltraHD and 2K/HD resolutions. CION offers in-camera recording directly to the Apple ProRes family of codecs - including 12-bit 444 - for pristine image capture. CION enables today’s growing demand for high frame rate support and offers the ability to output 4K raw data at up to 120 fps via 4x 3G-SDI outputs. CION can record directly to AJA Pak SSD media at up to 60 frames per second. On Saturday, April 25, thousands of people will come together for a nationwide film collaboration called Your Day. Your City. Your Future.– a 24-hour filming event that invites amateur and pro filmmakers and everyday inspired people to capture the pulse of their city and contribute their videos to a historic documentary on the future of the American city. Google Sites, driven primarily by video viewing at YouTube.com, ranked as the top online video content property in March with 155.6 million unique viewers.